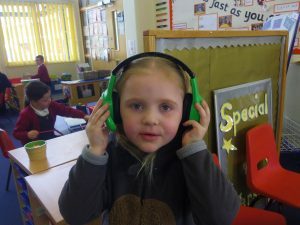 In reception in we have some new computing equipment! 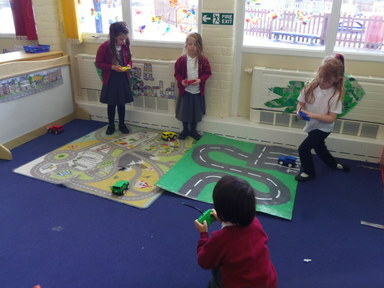 We have some remote control cars, blu-bots and communication headsets to learn how to operate and control. 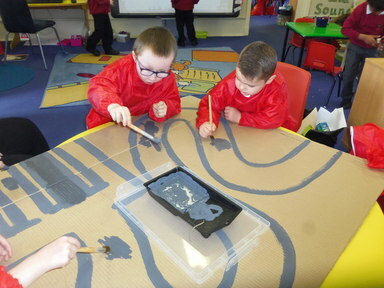 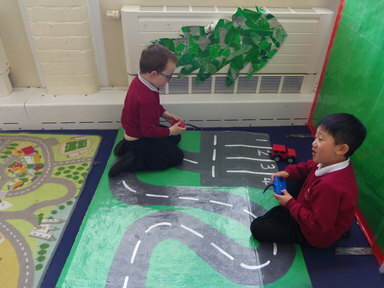 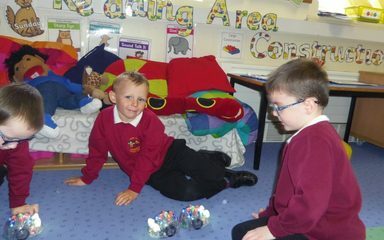 We decided our cars needed to a road to follow so we came up with the idea to make one! 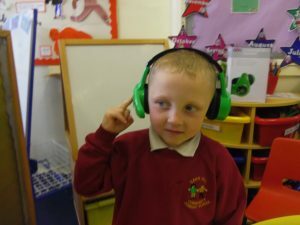 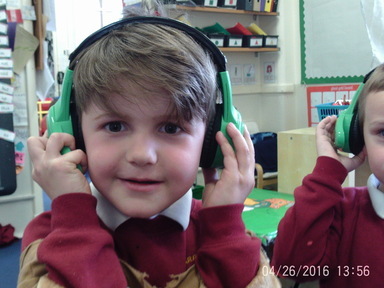 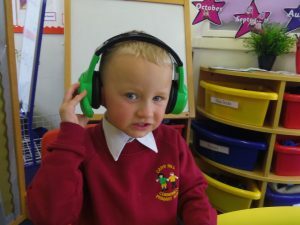 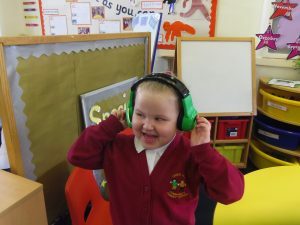 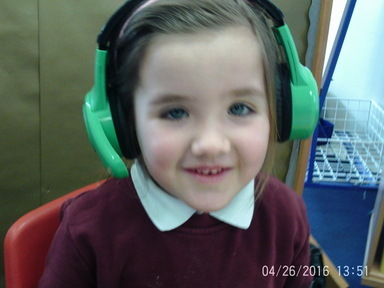 In literacy we have been speaking and listening to each other through headsets describing characters from a story. 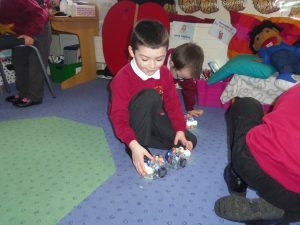 In mathematics we have been working out how to program the blu-bots to move in the direction we want them to go.